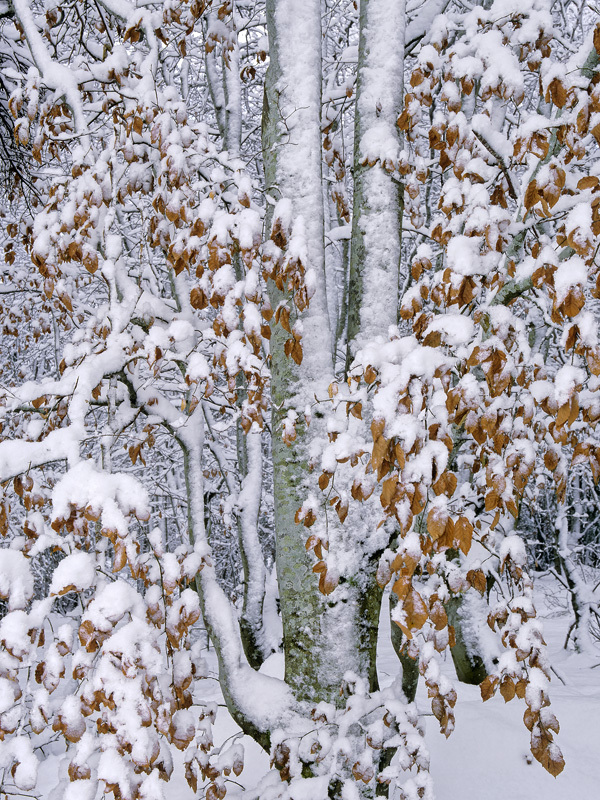 Early wet snow clings to the branches and left over russet brown leaves of a Beech tree that refuses to shed its Autumnal gown. This is a common phenomenom with beech trees a process known as marcessence. The leaves can make it all the way through to next Spring even during the winter gales. Photographically it does add a wonderful dash of warmth to the cold blue shadows and monochromatic white of fresh snow.